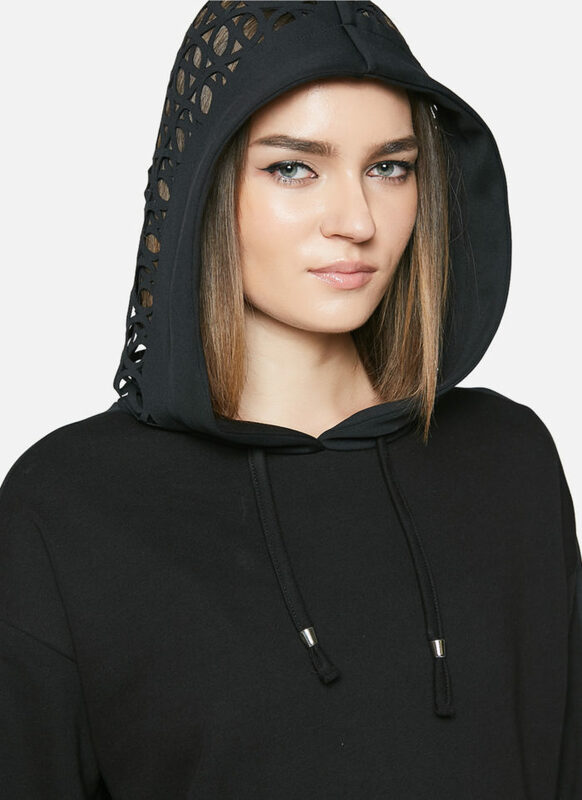 Sweater dress in pink and black sequins with black laser-cut details at sleeves. This sweater dress is saturated with light-catching pink and black pailletes – a shimmering reference to ’80s raves and Manchester’s house music heyday. 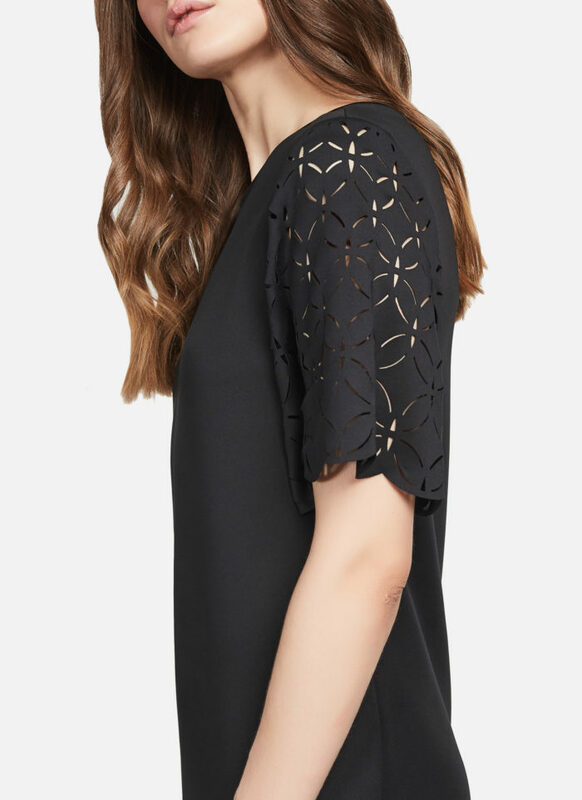 This style is cut for a loose fit and features laser-cut details along its sleeves. Wear it as a dress for a night out or over your pants for an everyday, still glamorous look.